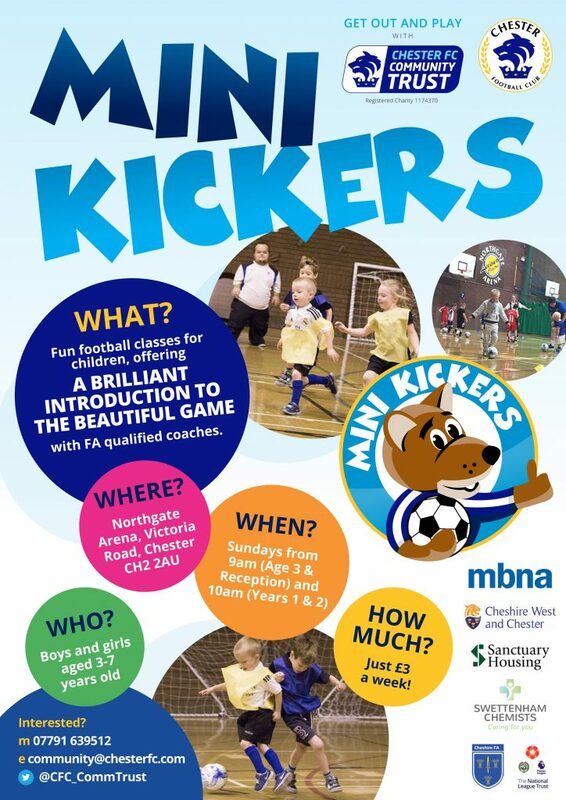 Chester FC Community Trust Mini Kickers sessions take place every Sunday at the Northgate Arena, Chester for young children to learn and develop their footballing skills. 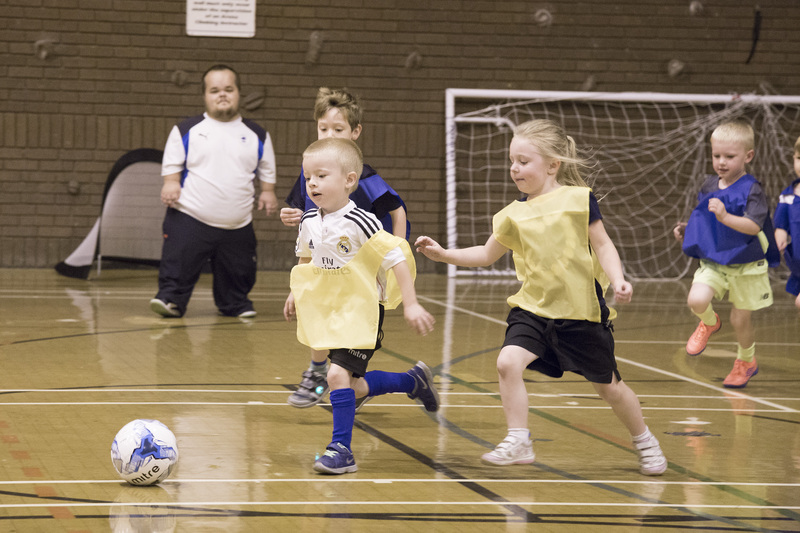 Aimed at giving children good coaching in a safe and positive environment, the sessions are a fun way of exercising and improving their skills. 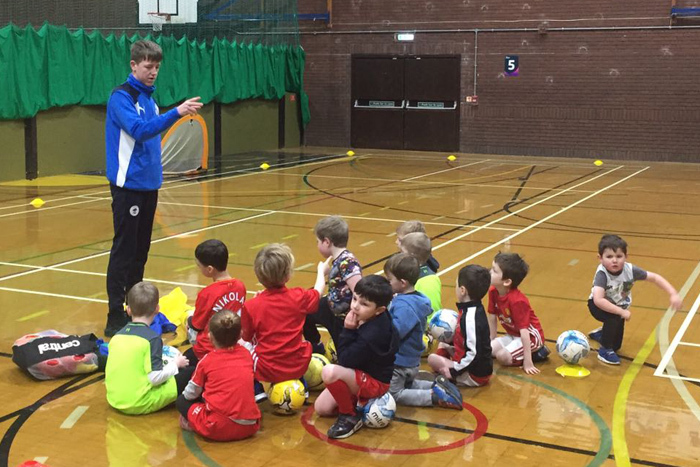 All Mini Kickers sessions are run by FA qualified coaches from within the Club's Community section who hold valid FA first aid and safeguarding certificates and who have also completed an enhanced DBS check. 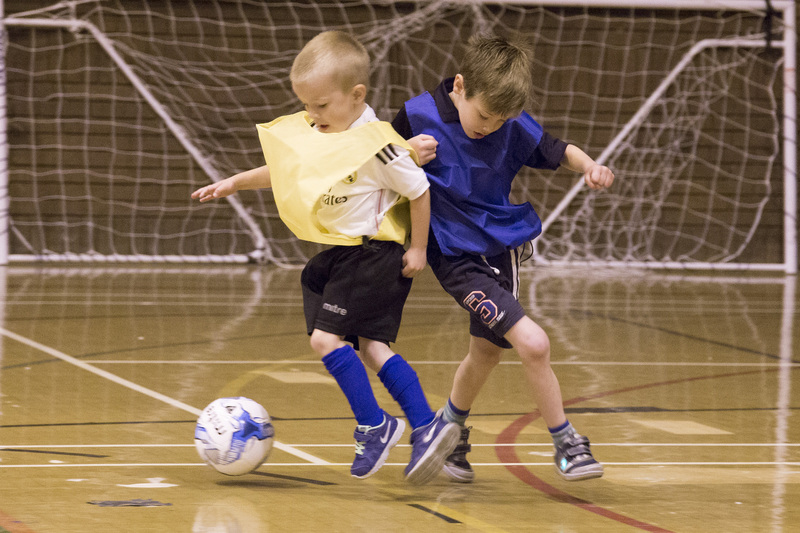 The sessions are for reception age children and also for boys and girls in Years 1 & 2. They take place at 9am & 10am on Sunday mornings at the Northgate Area in Chester. Price just £3, no need to book but please arrive 15 mins before the start.